Tanabata (七夕) is a japanese traditional festival (matsuri) imported from China many centuries ago, that occurs every year on the 7th of July or August, depending on the city. 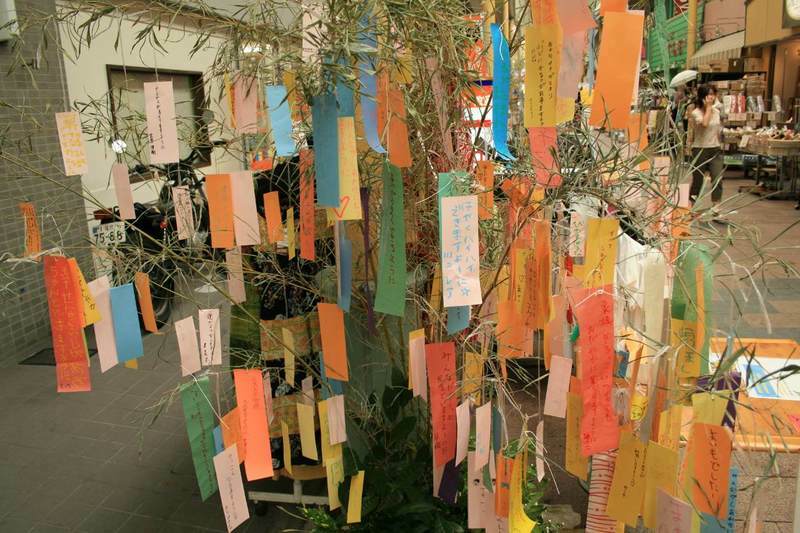 During this day the most common tradition is to write their own wishes on pieces of colored paper (called tanzaku), and then to hang these papers on branches of bamboo trees. These trees are also often "decorated" with special origami called orizuru. Being a matsuri, during this day and sometimes also around this day, a lot of towns in Japan organize festivals in the form of parades and various decorations on the streets. Nowadays many shopping centers organize particular events too, of course they cannot miss the opportunity to commercially exploit even this tradition. 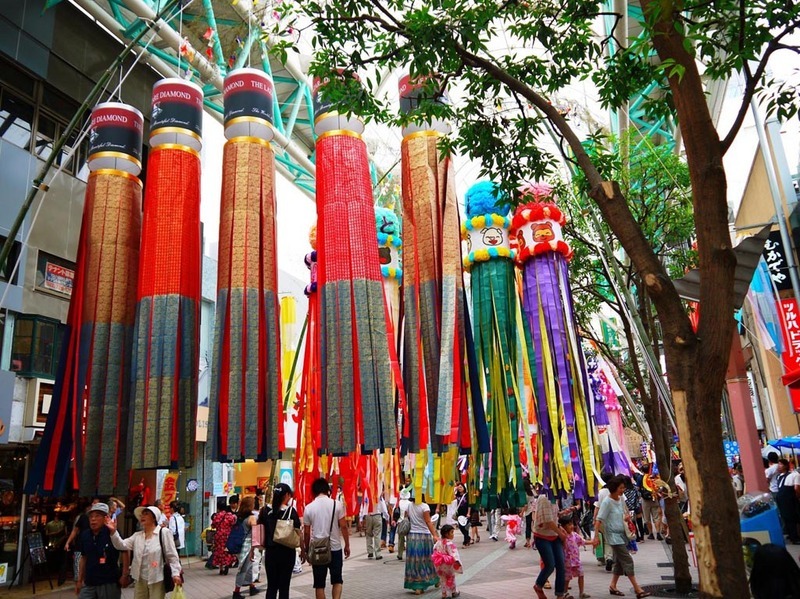 The most famous Tanabata matsuri of all Japan takes place every year on the 7th of August in Sendai. In the Tokyo area Tanabata is celebrated on July 7 instead. If have the opportunity to visit Tokyo during this period, the most important event takes place in the area of Asakusa, along the Kappabashi Dori, and is known as Shitamachi Tanabata Matsuri. -Irumagawa Tanabata Matsuri (Sayama, Saitama prefecture, one hour away by train from Tokyo).